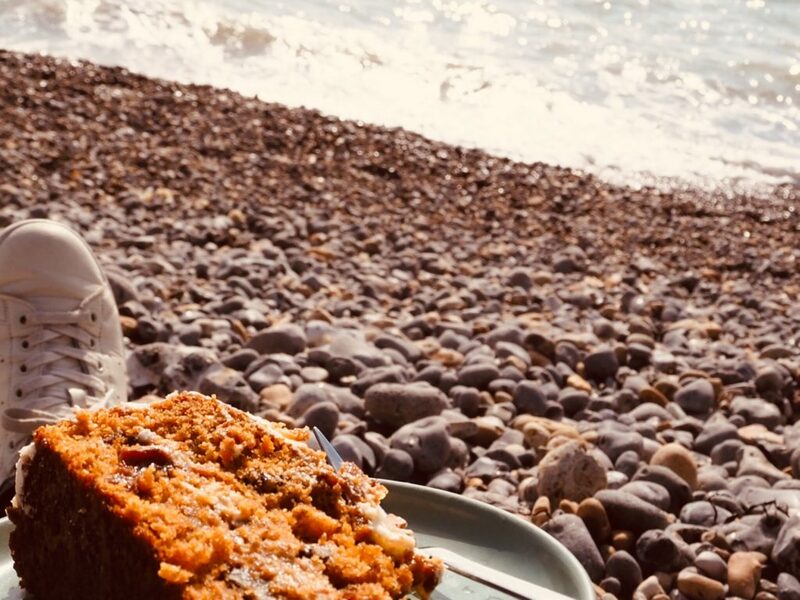 Welcome our monthly travel post, as we play the game of Did Joanne make it out of Brighton this month? Unsurprisingly, the answer is no, though I did go for lots of walks, and I have a great one to share with you today. If you are playing along at home, feel free to visit our previous destinations: The smallest art gallery in Brighton and The Chattri Memorial. 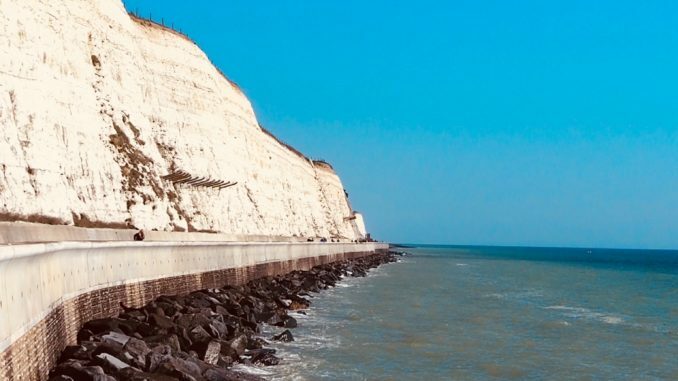 What is the Undercliff Walk? Well, it’s a walk under some cliffs, no point in being cryptic about it. We started at the Brighton Marina end. The walk begins somewhat grottily behind the bins at Asda, but quickly gets much more picturesque as you walk on. 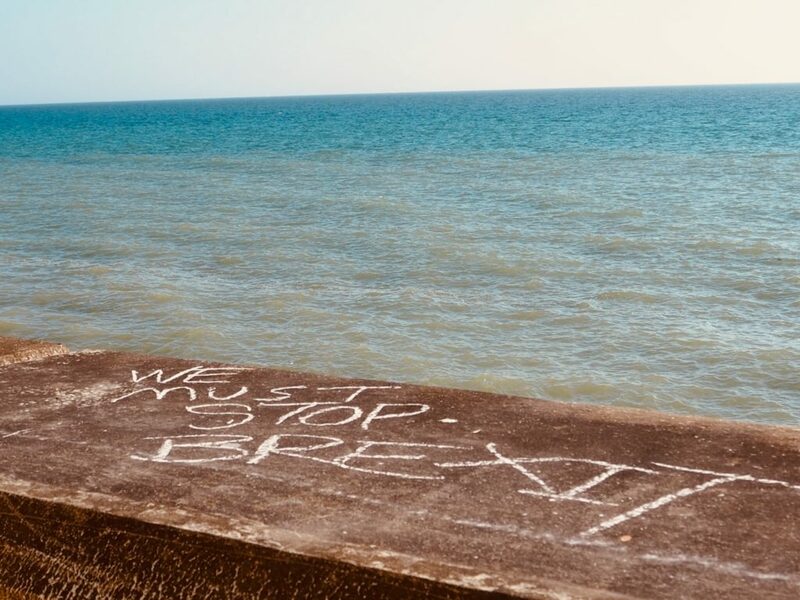 There are high white chalk cliffs on one side, and the sea and the beach on the other. The darker bits of cliff are made up of a mix of sand, chalk and fossils. The chalk dates back over 85 million years. 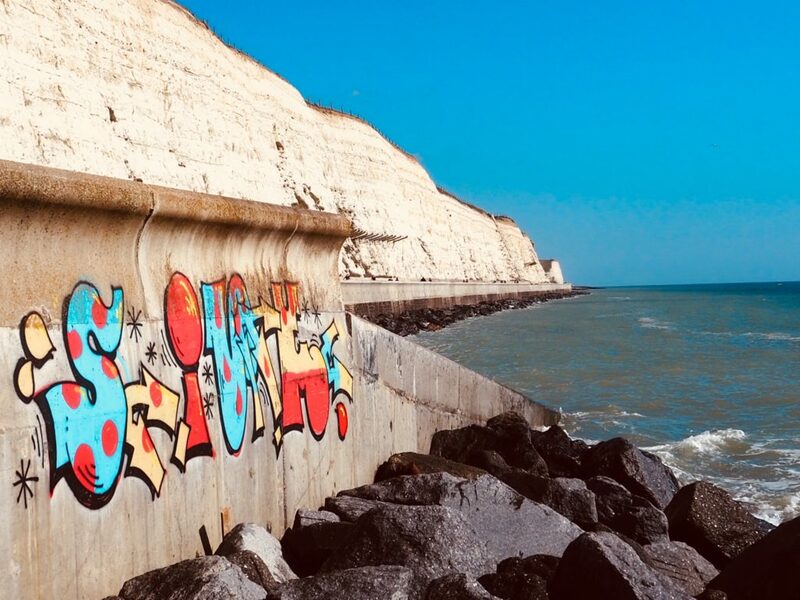 If you walk all the way to Saltdean, it’s about 4.5km, but most people only go as far as Rottingdean, around 2km. 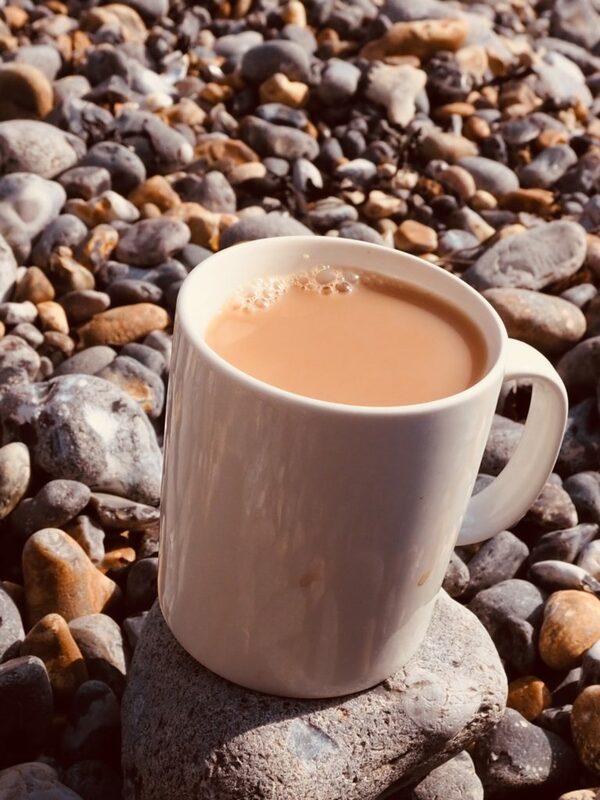 If you make it to Rottingdean, you can visit Rudyard Kipling’s house and gardens, or check out the wishing stone where The League of Gentlemen was born. … and home made cakes. 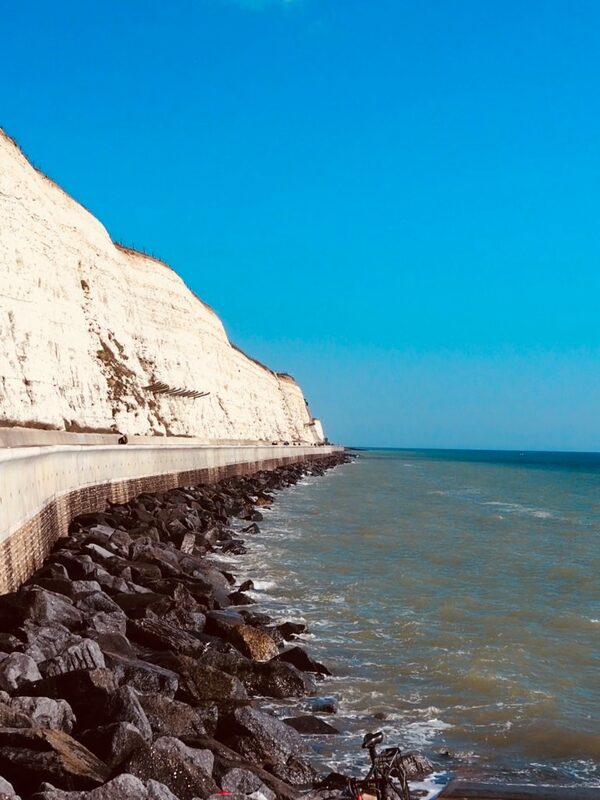 The Undercliff Walk is very flat all the way, with lots of places to stop. It’s a great choice if you have mobility issues, are a wheelchair user or pushing a pram. It does get busy at the weekends, with lots of cyclists, runners and dog walkers, but it’s big enough never to get too crowded. 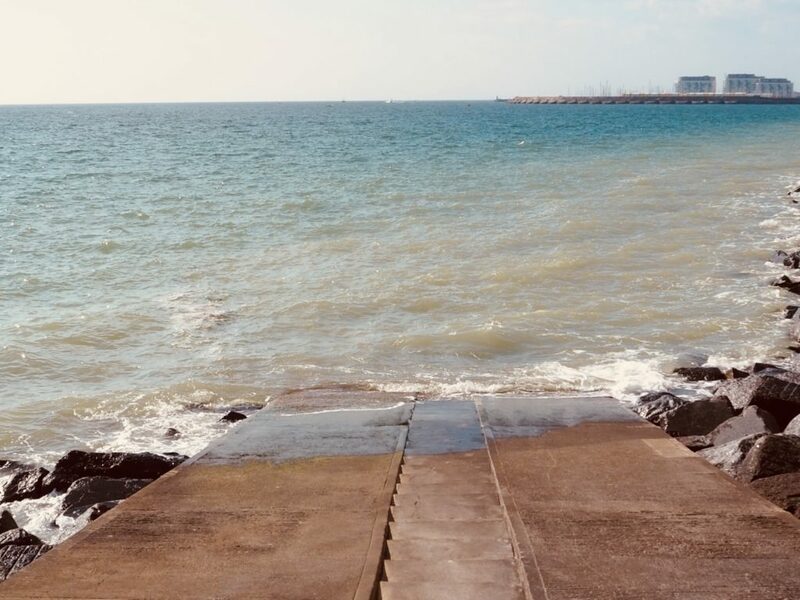 Depending on the time of year you go, or even the time of day, the sea will always be doing something different, and the view changes every few steps. The reflecting sun from the white cliffs means that it’s often quite warm, and worth cracking out your sunglasses. 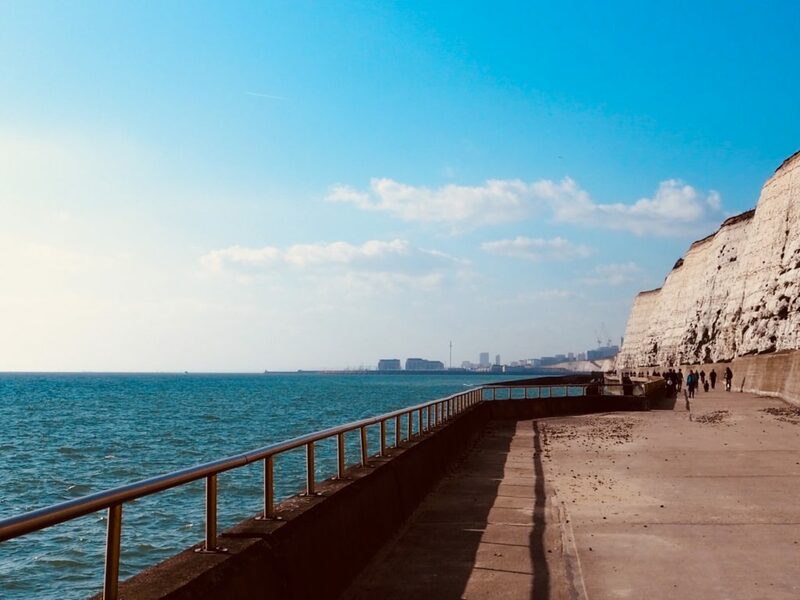 I hadn’t been here for a few years, and I really enjoyed rediscovering the Undercliff Walk. It helped that the sun was putting on its best face. I’d love to go back in the winter when the waves are roaring. Bad weather can sometimes mean that sections of the walk are closed, but on good weather days it’s pretty peachy. Starting at the Brighton end, this walk begins behind the Asda car park at Brighton Marina. Parking is free, and many local buses run to the Marina. 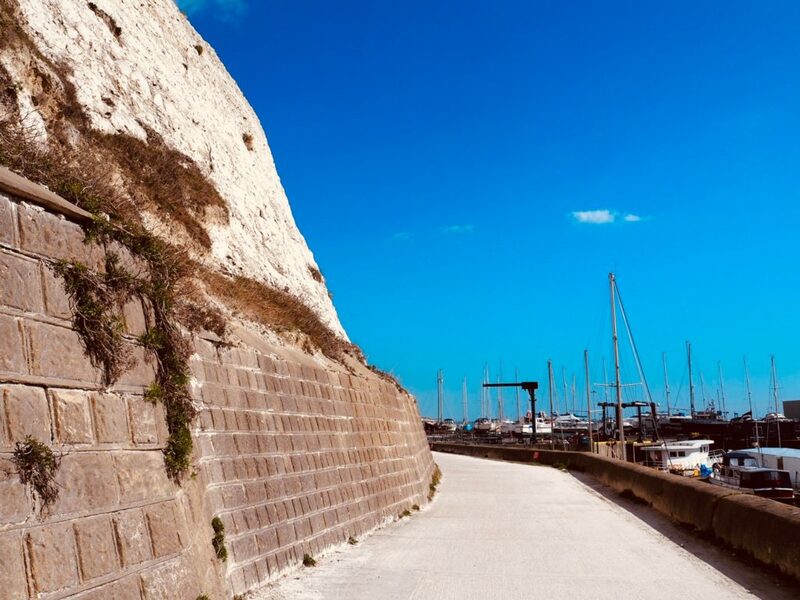 You can also access the Undercliff Walk at the Rottingdean end; the southern end of Rottingdean High Street.